All you need is a quick-drying and breathable cycling underwear which provide strong protection on the basis of cushioning performance, anti-bacterial, Abrasion resistance. TT3 does this and more. We have simplified our designs, choose the double elasticity fabric and updated the cut to compliment women&apos;s body shapes. 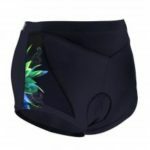 Flatlock seams are positioned carefully throughout to hold the shorts in place without chafing. The Multi-Level-Pad padding has a important responsibility which is to protect your most delicate parts from harm. 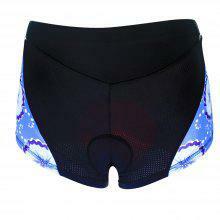 It fits snugly within the curves of the legs and torso to create a perfectly smooth cycling experience. Perfect paired with any pants or shorts, you can ride hard, wash, and repeat.it stays true to form, always.